September 27 is the date for the celebration of the traditional Chinese Moon Festival. Star Chinese School will celebrate this traditional festival with our students and parents this Saturday at 12:30 pm with a fantastic celebration lunch. 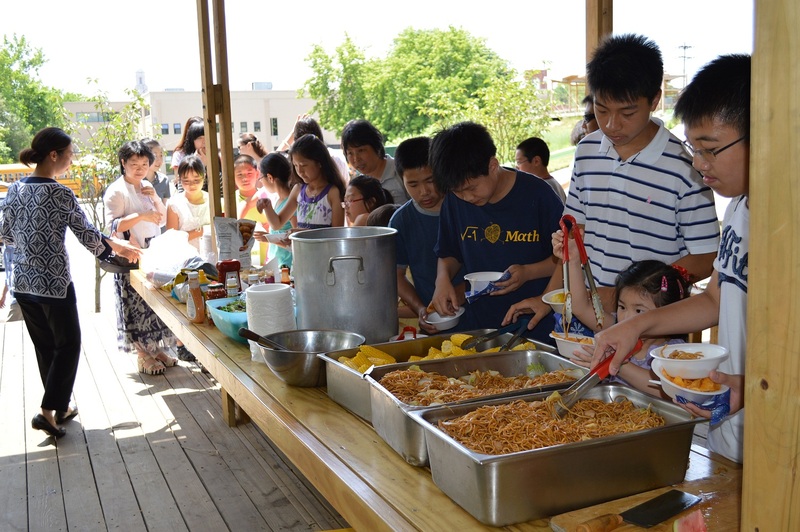 The school will provide the main course (dumplings and fried noodles), moon cakes, fruit, and soft beverages. We welcome parents to bring your favorite dishes or snacks to share with us. The event will be held inside the cafeteria. Thanks to Jason Wong of Lotus Food Company for the donation of the fried noodles and thanks to Irene Qi of Hope Nursing Home Care for the donation of the moon cakes. We also would like to take this opportunity to appreciate our parents for your continuous support. This is also an occasion to educate our students the Chinese traditions. Looking forward to the celebration with you all! In order to promote academic excellence and promote understanding of Chinese culture and Chinese heritage among Chinese youngsters, Rhode Island Association of Chinese Americans (RIACA) is proud to announce the “2015 RIACA Scholarship”. This scholarship will be awarded to a few high school senior students in RI and southern MA who show excellence in academic records, community services, and contributions to local community. In particular, priority is given to students who show great interest in Chinese culture and heritage, and provide services to the local Chinese community. Up to $3,000 will be awarded to each “RIACA Scholarship” recipient in the spring of 2015 through a competitive application process. 1. Who are eligible for the “RIACA Scholarship”? High school senior students who belong to Chinese ethnic group and students with Chinese heritage. At the time of application, an applicant must be a legal RI resident or a legal MA resident with RIACA membership. 2. How many awards and what amount of each scholarship will be given? For the year of 2015, we anticipate about 5 or 6 scholarships will be awarded. The actual number will depend on the number of applications and the availability of the fund. Each award recipient is expected to receive up to $3,000 scholarship. 3. What is the procedure for winning the scholarship? Each applicant should submit an application package before the application deadline (Nov. 30, 2014). The application package should include: official transcripts and SAT/ACT score report, an essay stating why you deserve this scholarship, 1 teachers’ recommendation letter, 1 endorsement from a RIACA member, and a brief resume. “Outside-Box”: This is a special category for those students, who show extreme talents or extremely high achievements that have broader impact in the community but not necessary ranked on top in terms of average scores above. 4. When should I apply for the scholarship? Sept. 20, 2014: Application form and other materials become available online. Our Painting classes and English Writing class have already started last Saturday and there are still seats available for new or returning students. We hired a new painting teacher, Lindsay Beebe. She is an experienced art instructor who has designed and taught art classes for kids and teens at Rhode Island School of Design for the past 5 years. She is good at both art theory and hands-on painting. We just added this new class for those students who are interested in English writing and improving the writing skills. Our teacher for English Writing Class is Angel Anne DiBattista who has a Master’s degree in Education and Bachelor’s degree in English. She has been teaching English in Rhode Island has taught English language arts for the 10th – 12th grade students at Attleboro High School in Massachusetts. Both classes are well received and there are still seats if your kids are interested. We need your help to advise your kids not to run or make a loud noise during the class break because other classes are still in session. We encourage our parents to take turns to help watching the kids during the class break. Thank you in advance for your assistance. Last but not least, the church notified us that there will be a winter camp event going on by the church at the cafeteria area this Saturday so that it will not be available for the basketball practice this Saturday. Thank you for your cooperation! 罗德岛华人基督教堂 333 ROOSEVELT AVENUE, PAWTUCKET.